Colon cancer is the second most common cancer in the United States, with 140,000 people being diagnosed each year. 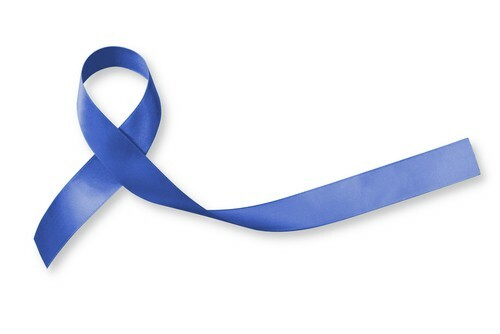 Over a million men and women live with a history of colon cancer. However, the good news is that colon cancer can be prevented. Get Regular Screenings: Most often colon cancer shows no symptoms. Therefore, getting regular screenings for colon cancer is the best way to protect yourself from the disease. Early detection of any abnormal growths called polyps can help stop them from turning into cancer. In addition, if detected at stage one, there is a 90% cure rate. Avoid Smoking: Smoking is one of the major causes of colon cancer. If you smoke, commit to quitting. Consult with a doctor to make the process easier. Be Physically Active: Regular physical activity lowers the risk of many serious diseases, including colon cancer. A minimum of 30 minutes or more of moderate activity each day is good for your health. Drink Only Moderately: Alcohol can increase the risk of colon cancer. The number of drinks permissible for women is one drink per day and two per day for men. Heavy drinkers should cut down or quit. Limit Red Meat, Especially Processed Meat: Excessive consumption of red meat like steak, hamburger, pork and processed meats such as bacon, sausage, and bologna can increase the risk of colon cancer. It is advisable to eat a maximum of three servings each week. Get Enough Calcium and Vitamin D: Getting enough calcium and vitamin D can help protect against colon cancer. The advisable intake per day is 1,000 to 1,200 milligrams of calcium and about 1,000 international units (IU) of vitamin D. Consult with your doctor for your correct dosage. Consider a Multivitamin with Folate: A daily intake of multivitamins can help protect against colon cancer. Calcium, vitamin D and multivitamins contain folate, which has been shown in numerous studies to lower the risk of colon cancer. Polymedco CDP, LLC is a leading manufacturer, marketer and distributor in the clinical laboratory marketplace. We supply clinical, diagnostic test kits and devices that specialize in colon cancer. Get FIT, a simple, affordable, non-invasive test that you can do in the privacy of your own home. Call us at 888-638-7757 or email at tpucci@polymedco.com.